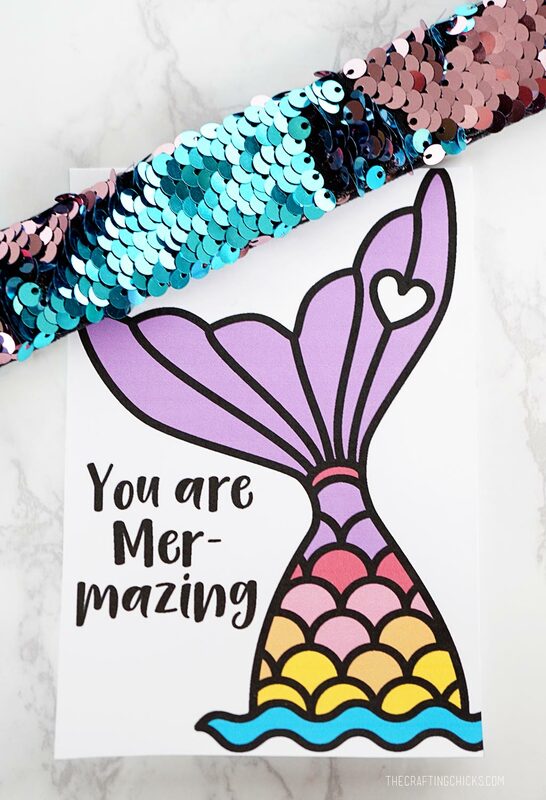 Mermaid sequins are all the rage right now and we created 2 “magical” mermaid bracelet printables to go with them! 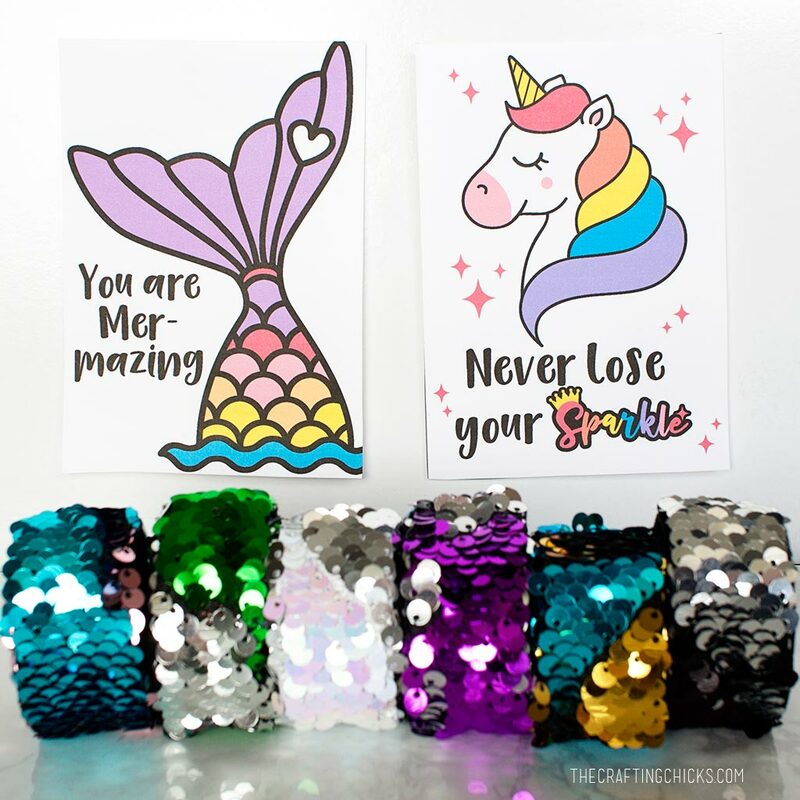 Rainbow mermaid and unicorn prints that will go great with a gift, or just to say hi! 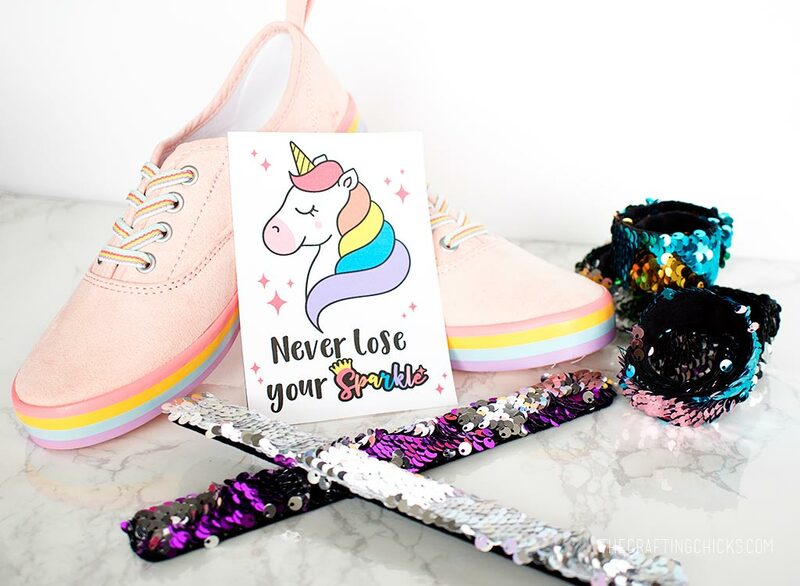 NoVae has given us a discount code for our readers. 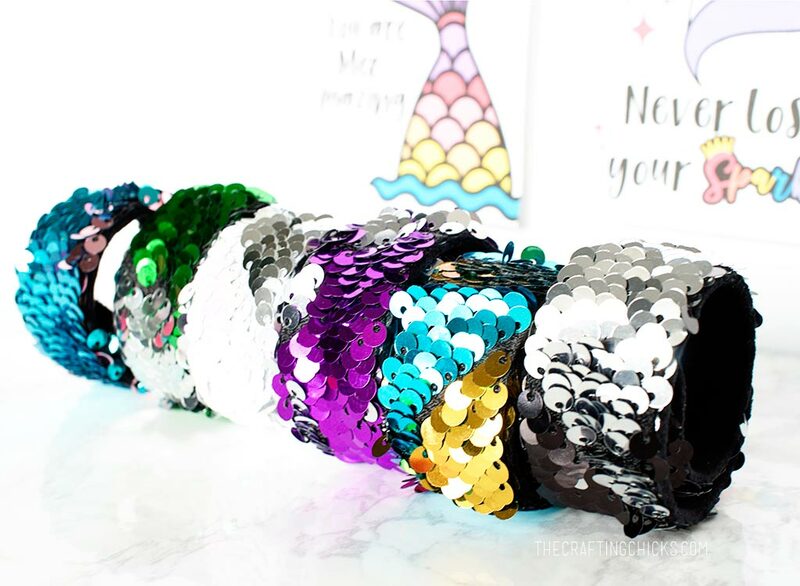 Use “sequinfreeship” to get free shipping when you order 2 or more bracelets! 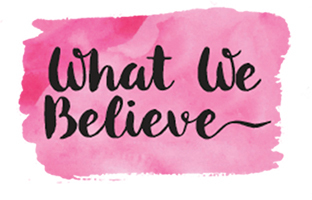 The colors here, starting left and working right are: teal/pink, green/silver, white/silver, purple/silver, teal/gold, silver/black. 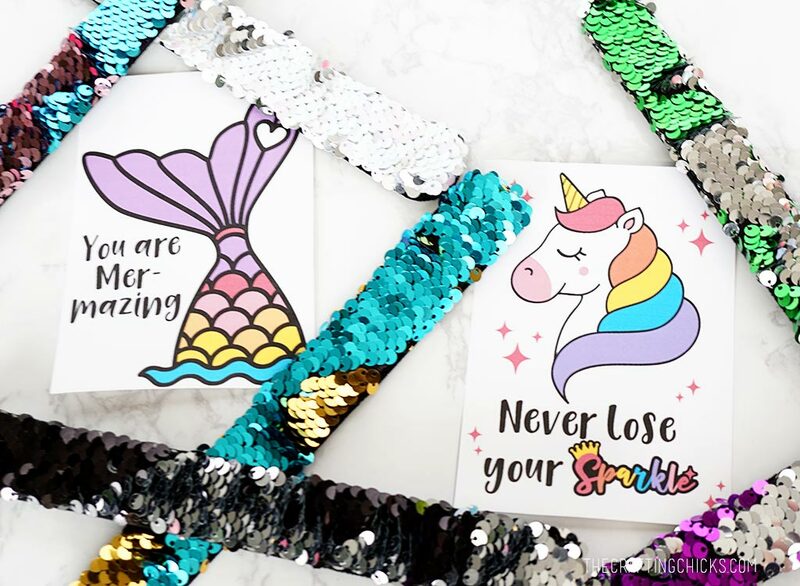 Get your bracelets from NoVae and download these adorable cards below. 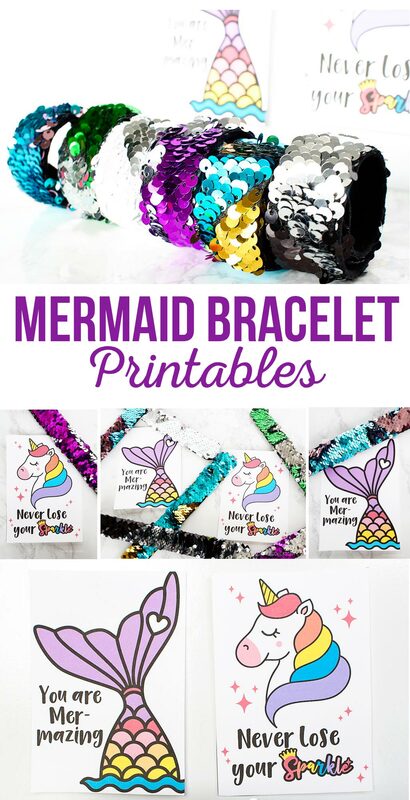 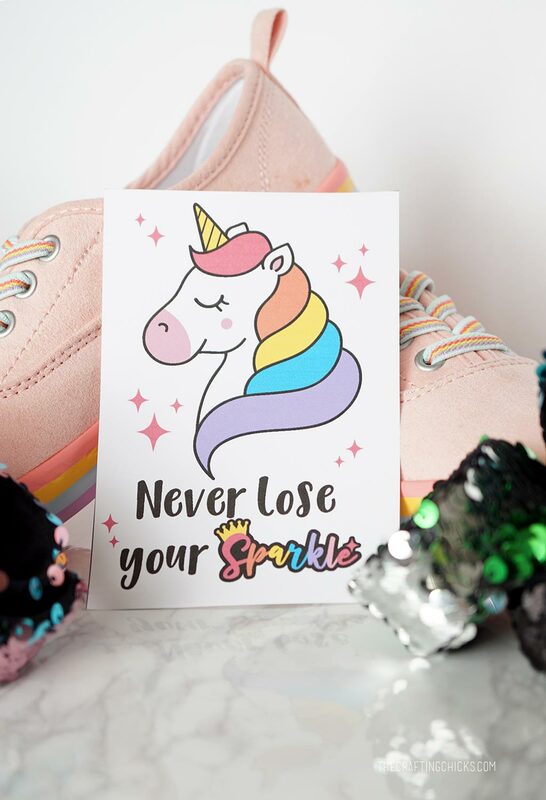 They print with 4 cards to a page and would be fun to give any mermaid or unicorn loving gal!